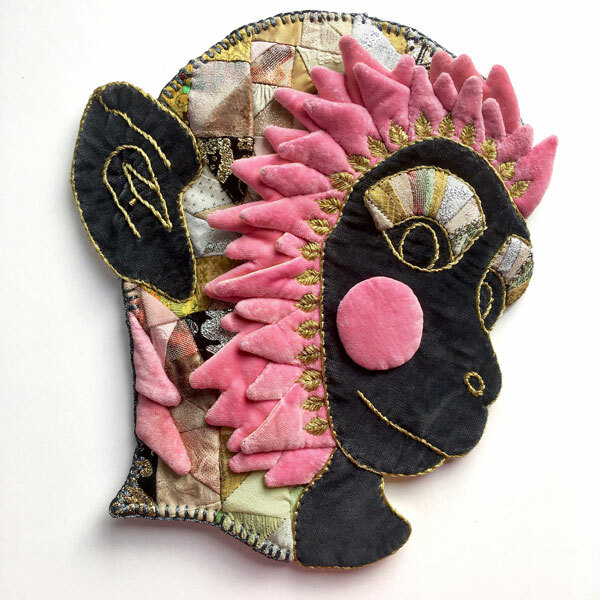 Hypersensitive/ Hipersensitif, a Textile exhibition of quilted appliqué and embroidery by Soraya Abidin. Works explore the double consciousness and 'in between' identity of a bi-cultural girl growing up in Australia in the 1970's. 'The Embrace' by Soraya Abidin. Detail, vintage velvets, crazy stitched Asian silks and metal thread, 2018.